THERE HAS BEEN a large increase in the numbers of people using a scheme providing free legal advice and representation, according to the programme’s co-ordinator. 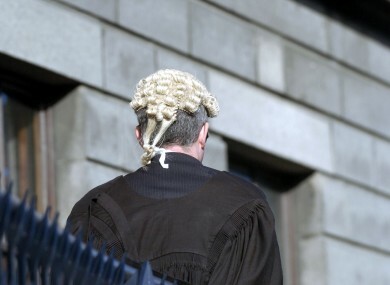 Barrister Aoife Carroll said the Voluntary Assistance Scheme has experienced a “significant rise” in NGOs using its services to help people who are unable to afford legal representation. She said the economic downturn means many do not have the resources to pay for private solicitors, and the State legal aid scheme is so overstretched that waiting lists can run to several months. The Voluntary Assistance Scheme is a brokerage service which refers NGOs and their clients to lawyers who have relevant experience in their areas. The lawyers then offer their advice and sometimes representation on a pro bono basis. She said the scheme has seen a particular increase in cases relating to mortgage or debt issues. The Voluntary Assistance scheme is one of a number of different projects offering free legal advice. Email “'Significant' rise in numbers referred to free legal scheme”. Feedback on “'Significant' rise in numbers referred to free legal scheme”.